We once came down; soon we'll return. Sonic theology deals with sonic experience of the divine reality. Sonic means audible sound (or phenomena related to sound), Theology means that which sheds light on God or help reach the gnosis of God, ma'refa in Sufic Islam. According to Christian theologist Wilfred Cantwell Smith, Theology is, "Speaking the truth about God." For postmodern theologians, theos is taken back more towards the archaic Greek meaning of the term as 'divinity', that which 'shines' or 'reveals' itself from beyond the horizon of intelligible representations. Thus Sonic Theology becomes the field of studying sound and vibration as means of reaching gnosis of God, knowledge about divine realities. The mysteries of Vibration and Sound when it comes to understanding divine realities and the reality map of the world in which we live in, is a less explored area. Those who belong to traditions where sound, utterances of sacred words is at the heart and soul of the religio-spiritual experience, even they are not much aware of the beauty and mysteries hidden within this domain. Sufi Islamic perspective is rich with isharat or pointers toward Sonic Theology, but before going specifically into Islamic perspective of Sonic Theology, it is worth pointing out that all major world traditions have role of sound or vibration or sacred words. From a comparative religion perspective it is clear that almost every religion has either explicit or implicit teachings, either exoteric practices or forgotten esoteric hints about the central role of vibration and sacred sounds in opening subtle centers within for greater realizations. Beck has translated the Hindu terms "Nada Brahman" as Sonic Theology. In Hindus philosophies, there is term called Sabdabrahman meaning, God as Word-Consciousness. 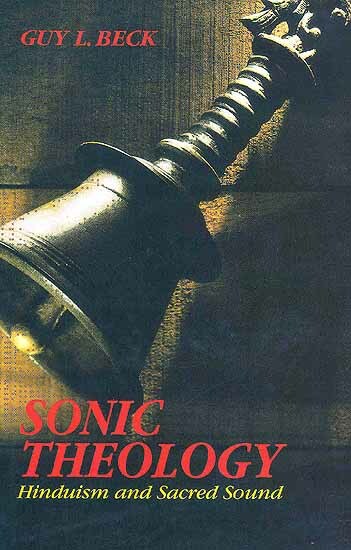 Sonic Theology can also be called "The Yoga or Union of Sacred Sound." Medieval Hindu text, Parama Samhita says, in chapter 6, "I shall describe to you the supreme character of the mantras, their key letters and the way to use them. This is however a secret… it is by mantra that God is drawn to you. It is by mantra that He is released." Hinduism has sacred sound as its heart and soul, thus when it comes to understand the role of sound in relating with the Divine, the ideas of ancient sages and mystics of India is a very useful place to begin to get a panoramic view of these ideas. In the book cited are scholarly examples where it is aptly pointed out that, "The scholarly study of scriptures of the various religions will remain seriously limited and one-sided if it does not become more sensitive to the fundamental oral character of scriptures such as the Veda, the Qur'an, and even the Gospels." To be sure, the oral dimension of language and scripture in religion is truly significant. The mystery of sound is not the only mystery among the senses. There is boundless mystery, of another sort, in vision, too, and further mystery in touch, as well as in taste and smell. But the mystery of sound is the one which … is the most productive of understanding and unity, the most personally human, and in this sense closes to the divine." Western scholars of Hinduism discovered something important, "Holy words have been operative in human history.. the way that they have found their way into human lives is not through the eye, but through the ear; Hindus have affirmed that the holiness of the Word is intrinsic, and that one participates in it, not by understanding, but by hearing and reciting it." In Hindu tradition, language is thought to be truly and most fully experienced only in its oral form. In Western ancient world: in Greek ideas, the very term "logos" always suggested and supported the idea of a fundamental identity between the act of speech and the act of thought." Vedic tradition tells us that Om as the primordial Sound / Vibration / Adi Nada. Islamic tradition has this isharat (pointer) that says, God uttered Be! and everything became. Kun! Fa Ya Kun!. Modern scientific view of reality tells us that everything – every atom and molecules in every nook and corner of this universe is formed out of energy vibration. Einstein's famous formula E=mc2 indicate that matter (m) is but an expression of energy (E). This is also now one of the basic accepted principles of quantum physics with the discovery that sub-atomic particles are ultimately not particles at all, but are rather progressively more subtle forms, until ultimately consisting of vibration, pure Energy and units of probability (quantum potentiality or Quanta). 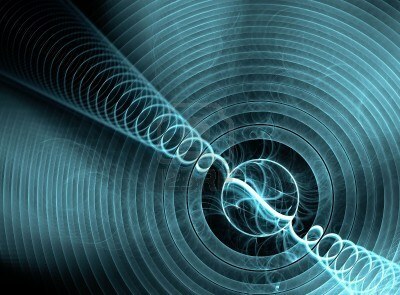 Vibration is one of the most fundamental characteristics of the entire Universe. Matter comprises smaller units known as molecules, and still smaller units known as atoms. Yet smaller still we find sub-atomic particles which in turn are made up of still finer particles and so on, until the ultimate constitution of anything is of pure Energy vibrating at specific rates according to individual characteristics. In the macro world we discover that dense objects, sound, light, electrical waves are what they are because of their vibration. Perceptible sound to human has the frequency of 20 to 20,000 vibration/sec, Electricity is 1 billion vib/sec, Visible Color is 500 billion vib/sec, invisible spectrum even higher. X-ray vibrates at a rate of 2 trillion vib/sec. As we progress still higher, the scale of vibration we reach do not manifest any characteristics yet to modern science and hence totally ignored. It is erroneous to conclude that progressively higher levels of vibration do not exist, simply because they cannot be observed or measured by science. Vibrating at speeds completely beyond the comprehension and observation of science are the inner dimensions of planes, part of alam al-Ghayb, the so called invisible or unseen Realms in contrast to the alam ash-Shahadah or observable /witnessing Realms. You are a vibration, so you generate sound and light. You have a spectrum of energy, a spectrum of light. Your voice is a vibration, your thoughts are, your heartbeat is, etc. If you listen to things around you, they all have a vibration. We interact with each other through vibrations. We can modify vibrations for the better by changing their frequencies. Think of the astronaut in outer-space. There are myriad of protocols and modalities which empower the astronaut in outer-space to communicate with the earth. Similarly from the Extreme Point of Divine Qurb or Nearness which is an Indescribably Reality and Pure Light beyond the realm of idea, the emanation and communication happens through veil after veil. (Even the astounded and baffled Quantum Physicist had to come to conclusion that the physical universe of matter can be considered as "frozen Light.") Audible Sound, specially that of the Revealed Scripture in it's original language, words, sounds and vibration is a protocol and modality for communication. Allah’s Kalima (Word), as far as the relationship with the human being is concerned, is a Nur (Divine Light) that is lucent within the human heart. This Light is felt within and observed by the mind which may translate this luminosity from deep within the heart into spoken words. Similar to the observation of the optical light i.e. colors, hues, frequencies, intensities, polarization, etc... this Nur (Divine Light) of Allah’s Words is observed by the mind in form of concepts, meanings, thoughts, memories of human cognitive faculties and translated into spoken words, sounds, chants and rendition of emotions upon the face, body and the tongue. As the colors, hues, frequencies are NOT the light itself, similarly the spoken words, sounds, meanings, thoughts and in general human cognizance of the said Nur (Divine Light) are not Allah’s Words. The mind then is the ‘translator’ of Nur (Divine Light) from within the heart into human speech, since the origin of the Allah’s Words is in the other universe and those Words shone upon the heart via the said Nur (Divine Light): Translating the Nur (Divine Light) from the other universe into words in this universe. ... a person may not believe in the Divine Words and yet repeat them; in this case, these words originate from this world within the human cognitive faculties or brain cells and are uttered by the tongue and consequently recycled into this world again: Translating cognitive physical forms from this world into speech heard in this world. In every cycle of ritual prayer (salaat) practiced in Islam, as the devotee stand up from bowing position, reminds himself or herself by announcing "Sami Allah hu liman hamidah" - 'God ever listens to every spontaneous praise' - a Sufic translation of this beautiful phrase will convey the meaning that "Allah is the Beloved who is ever listening to His lovers praising the Divine Bond of Love." It is then followed up by saying, "Rabbana, wa lakal hamd" - 'Our Lord, and to Thee belongs all praise'. So “Ever listening” (Sami Allah) is a Sifat or Attribute of Allah and when we are engaged in deep listening, we are practicing a Sifat, a quality of Allah and with right intention, this illuminates the inner being, the subtle centers / lataif. Understand also that a sincere lover also has this quality to listen with undivided attention to what the beloved is saying. Our voice, the human voice, can be used as a tool for self-awareness, which is the foundational mindset to heal oneself. With proper training, you can use your voice as a "sonic tool" to vibrationally activate, heal, resonate/harmonize body, mind and spirit. 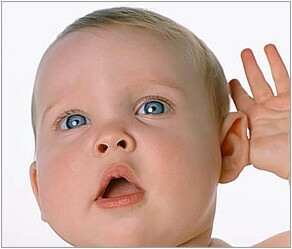 Human voice can change state of consciousness almost instantaneously. It balances hemispheres of the brain, re-wires neural nets, and changes the vibratory pattern of the etheric, emotional, mental, and bioelectric bodies. In "Healing Sounds," by Jonathan Goldman, he states: "From a physiological viewpoint, vocal harmonics creates changes in the heart beat, respiration and brainwaves of the reciter." By producing various vowel sounds such as A, I, U we are actually vibrating a very important gland: Thymus which plays a key role in the immunological defense system, stimulating production of white blood cells that fight disease and infection. The thymus gland is fairly large at birth and continues to grow until adolescence, when it begins to shrink. During the first few weeks of life, T-lymphocytes created in the thymus migrate to the blood stream and colonize lymph nodes through the body. These later begin to manufacture powerful antibodies vital for immunity. Thymus being very adjacent to the lungs and also heart, the sound which are produced from within has direct vibratory effect and stimulates this very organ. Vibrations in the sternum will stimulate the immune system because the oscillations boost the thymus which controls the production of the body’s key defence cells called T lymphocytes. Some researchers even believe that different infections and cancers in old people are closely linked to the decline in T lymphocyte production. Hence, if you were to stimulate the thymus in some way e.g. through prayer or song, it is sure to be advantageous. Qur'an again and again ensures and confirms that is has healing in it (which of course refers both on esoteric and exoteric sense, both healing of spiritual organ, i.e. heart and healing of body). Traditionally these six Signs of the Qur'an located on: 9:14, 10:57, 16:69, 17:82, 26:80, 41:44 - are known as the Healing Signs or Ayat-ash-Shifa. One of the (not all) exoteric (zahiri) explanation of the mechanism of healing of body through boosting this vital organ (thymus, brain centers and other) responsible for immune system. Allah knows the best. (see the presentation at the end which shed light on Physiological aspect of this). Toning is an ancient method of healing and it is a system of healing that utilizes vowel sounds to alter vibrations in every molecule in the body. Mitchell L. Gaynor, M.D., a leading oncologist and director of integrative medicine at the Strang-Cornell Cancer Prevention Center, states in his book The Healing Power of Sound, that "the very tools high-tech scientists have used to understand molecular biology are revealing that mind-body communication occurs on the deepest levels of cellular function... understanding mind-body unity is essential to recognizing how sound - which has vibratory effects on cells, organs, emotional effect on the brain, and which taps a spiritual dimension as yet undefined- is the next frontier in holistic healing." Toning oxygenates the body, deepens breathing, relaxes musles and stimulates the whole body. Regular toning helps to restore health to the mind, body and spirit. Prophet sallalahu alaihi wa salaam, always stressed reading Qur’an loudly and not silently by saying: “The comparison between a silent reader and a recitor is like a bottle of perfume when it is closed and when it is opened”. The Qur’an itself recommend reciting it slowly (with pauses) for complete absorption of its effects. That means that if we recite very fast then the frequencies can overlap and mingle up resulting in a vibratory chaos thus rendering the beneficial effects useless. Even the reading, memorizing, pondering and recalling the Quranic verses stimulate various parts of the brain centers, thus giving them boost and prevent their degeneration and keep overall well-being in all ages. "Adherence to the rules of Qur'anic chanting (tajwid) activates the letters causing sacred sounds to reverberate within and without. The various combinations of harakat (vowels) and huruf (consonants) activate and channel the numerous Divine names throughout the being of the reciter. The basic long vowel sounds of Arabic A, I, U represented by ALIF, YA, and WAW are of special significance and have different effects. I "travels upward and stimulates the pineal gland, which is not fully understood by Western science, but is felt to be responsible for activation of the life force. The sound of U "resonates on the outer rim of the pursed lips, and intermingles with the idhn of Allah, as His permission for our lives unites with our inhaled and exhaled breaths." … the recitation practices - especially of the Qur'an - in Islam are not merely mechanical, ritualistic mutterings but are potentially very powerful. The ultimate aim of all of these practices is 'irfan (gnosis) whose perfected state is the realisation of all the Most Beautiful Names, or the perfection of the branches of oman. Regardless of the terms used for the end result of the process itself is one of ta'wil (tracing back to the Source). This term is also used for the esoteric commentary or interpretation of Qur'an - and this is by no means a coincidence. For there are - as we said at the outset - two Qur'ans - al qur'an al-tadwini (the Recorded Qur'an contained, as it were, between the covers of the Book), and al qur'an al-takwini (the Qur'an of Engendered Existence). This Qur'an of Engendered Existence may also be conceived of in two ways. Man has within him a world, a Qur'an which we can call al-Quran al-anfusi: the Qur'an of the Inner Self, which is distinct from what is known as Qur'an al-anfaqi: the Qur'an of the Outer Horizons. Man must know himself. He must perform a ta'wil of his own wujud (his own being), for "He who knoweth himself knoweth his Lord." This mystical exegesis is the spiritual exodus of the exegetic. Just as the Qur'an speaks on the level of historical time (al-zaman al-kathif) of certain persons and events like Pharaoh and Musa, 'alayhi salam, there are, on the level of subtle transhistoric time (al-zaman al-latif), tyrants and those who destroy them, furthermore on the level of hyper-subtle time (al-zaman al-altaf), there is within everyone a pharaoh who must be defeated by the Musa of one's inner being. This "internalization" of the Qur'an constitutes the onto-genesis of ta'wil. (see the book, Henry Corbin's The Man of Light in Iranian Sufism for more on this). The muqatta'at are indispensable in this onto-genesis inasmuch as they contain the entire surahs they precede just as the seed contains a whole tree. Their proper recitation helps to realise these Qur'anic realities within. (Within Hizb Bahr) this repetition of KAF HA YA AYN SAD serves to actualise the realities of Surat Maryam within the reciter. Later in the Hizb HA MIM occurs followed by KAF HA YA AYN SAD and HA MIM AYN SIN QAF which are all accompanied by certain hand and finger configurations akin to the mudras of Hinduism and Tibetan and Shingon Buddhism. .. These letters and indeed the entire Hizb should be recited in the manner of what is called tahqiq in the science of Quranic recitation. This means that each letter of every word or utterance is pronounced clearly and correctly, giving each letter its due by articulating it from the appropriate point of articulation in the human speech apparatus. Among the most ancient of languages we have Hebrew, Aramaic (Semitic language), Sanskrit and Arabic being of the same characteristic of being very highly sonic in nature, its sounds even on subtle level have deep influence on it's meaning and they use very high range of different part of human sound producing capabilities. Among all of these ancient languages (there might well be some in Africa) which were once used to communicate Divine and sacred communication in one time or another in human history, Arabic has the characteristics of being one of the most ancient as well as a vibrant and living language. Arabic is also the latest of the human languages chosen as a modal for Divine Revelation in Qur'an which is the Last Testament after Old (Torah) and New Testament (Bible). The language is quite unique in its character and sonic quality. From a Sufi Islamic perspective, the best spiritual practice is the recitation of the Qur'an which has the healing properties both inwardly and outwardly. It affects the mind, intellect, heart, the spiritual subtle centers as well as the physical body, brain centers, various organs around the chest and neck which are vital in producing various chemicals which only recently are being discovered as directly responsible for our well being. The recitation of the Qur'an with audible level is the most useful spiritual practice in Islam, both outside the daily prayer as well as inside of it. The quality has to be such that it soothes our own being, our heart and spirit. The reciter has to be mindful of the stations and states of the verses or signs so that it may penetrate the core of his or her being to have the effects of higher vibrations. Recitation of certain parts of the Qur'an on regular basis, recitation of the Divine Qualities, the 99 Asmaul Husna (the Beautiful Names of the Divine) are some of the recommended sonic practices. When some one is, lets say depressed he or she if they sit down quietly with the intention of meditation, since the state of the mind was in depressed state, it is like to affect. The trying to be silent mind will still hear chatter, will have spill over from the predominant states of the heart. Whereas if someone is reciting the Qur'an, trying to understand its meaning, he or she is not staying with his state or allowing it to influence, rather he or she transfer himself, herself to a new domain. Upon hearing the sounds which are produced in the chest (from air of the lungs, next to heart, vibrates not only the heart but also chest region), comes out from the vocal chord, produce sounds and vibrations and goes back to the ear of the reciter himself, herself and finally to all parts of his body, starting from brain as well as with vibration affecting cells on molecular level. Now after reciting the Qur'an it help the person shift completely from the earlier state. The chronic depression in the West as well as in the East for many has much simple and elegant cure in Sonic methods than anything else. No medicine required, no chronic suicide to end human lives which is become epidemic in many parts of the world. Sufi Sonic Practices are best practiced under the guidance of a Sufi Master and if that is not possible, at least by joining to Sufi Remembrance (Zikr) gatherings where collective chanting is performed with amplified effect of the sonic practices of the Divine Sounds. May God grant us success for all success comes from the Divine. May Allah increase our aspirations.